You’ll be supported by a team of inspiring Melissa Priestesses in Sage Priestess Certification who have all been through the program. They’ll be holding sacred space in the certification group and online circles and training days. They’re from around the world: the US, Australia, Canada, and the UK! Temple spaces are held on the new and full moons in the certification group. The Melissas share, give blessings, and be with you as they witness the divine within you. The term Melissas come from the Minoans and Greeks. They were Priestesses of the goddess Potnia (The Pure Mother Bee). Melissas are Bee Priestesses. The priestesses of Delphi, and those who served Demeter and Artemis were also called Bees. Now, this ancient tradition of calling a priestess a Melissa has returned. To be a Melissa is to serve your community. 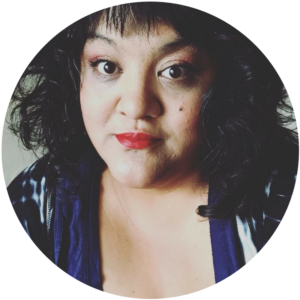 Desiree Cervantes is a shaman, intuitive healer and empath. A modern medicine woman with a creative soul and the gift of clear sight. A wild woman with a tender heart. 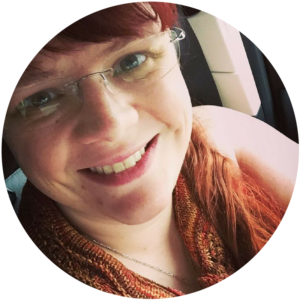 Desiree offers intuitive readings and truth-telling guidance sessions, helping people connect with their ancestors, guides and higher selves. 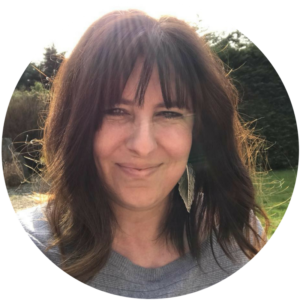 She is passionate about Heyoka medicine (the interplay between the sacred and profane) using wild spirituality, radical honesty and creative disruption as tools for shape shifting, transforming and healing. As a fiercely tender shadow guide, Desiree creates safe space for people to see and love themselves exactly as they are, where they are. I now find myself gaining a sense of empowerment through being present to what’s going on with my senses, inner guidance and intuition. I tend toward my whole life being spiritual practice now. The constant state of awareness doesn’t let too much time go by without me getting an inkling about what I’m in need of. Denise is a gifted listener, and one of her passions is holding nurturing, energising, and liberating sacred space for other soulful seekers and wild wonderers. She brings her art and space holding together on the page in her Creativitea Time, where sacred space is created to meet yourself on the page. Here, playfulness, courage and creativity meet radical self-acceptance for tea. I want to be kind and compassionate. I want to hold a healing space. I want to become part of the solution. I want to love myself deeply. I want to connect with the natural world and all its creatures. I want my actions to reflect my beliefs. I want to inspire and uplift others. I want to surround myself in beauty and wonder. I want to be free of guilt and shame. I want to feel joy.